There are very few places on this earth that remain the same over time. People always like to change, moderate, remodel, and upgrade. I will never forget the time, after a 30 year hiatus, in 1995, that I re-visited Camp BATAWAGAMA. My sister Margee and I decided to take a ride to Camp to say hi to Brian and Paula and explore. From the moment we turned onto the Camp road from Pentoga Trail, all the memories came flooding back. We pulled into the dirt parking lot. When we emerged from the car, the smells and sounds were the same as they had been thirty years before. The musty leaves, recycling and returning to earth, had the same spongy bounce under my feet, and their warm, musty summer odor hadn't changed; not a bit. The Mess Hall had been rebuilt, but the floor plan was the same. The kitchen was obviously upgraded to meet state regulations, but the tables looked the same. The piano was in the same spot, as were the song books, all rumpled and worn. The KP 's were gone. However, the food was remarkably similar to what we had been served so many years ago. Dinner was just finishing, and as we were about to leave the Mess Hall and wander down toward the lake, suddenly, just as I remembered from my youth, young, sweet, joyful voices filled the air accompanied by a cheerful piano player. By this time I was overcome with gratitude, so thankful for this place "BATAWAGAMA" . The generosity of the Iron County citizens who had supported this magnificent retreat for children and seniors for so many years; the vision of the Founders. How lucky that I had attended as a child. I learned to swim, to manage away from home for the first time, to trust the Counselors, and to explore nature and my own creative skills under the watchful eyes of the ever- present camp staff. For the first time ever, I made friends from other parts of the country and learned that kids from far away places could also be fun. I pushed myself to become a better swimmer, so I could brag at the end of the week to my parents that I could swim as well as my older sisters. I loved the arts and crafts, the nature walks, the overnights, and even the cold showers we had in those days. The lessons I learned about boating and water safety are with me to this very day. At the end of our visit, I knew I would give to our Camp to insure that every child in Iron County, now and in the future, would have the same opportunity I had to attend Camp BATAWAGAMA. What followed were meetings with Brian Schulze, and several other like-minded folks. We all were interested in starting an organization that would support the traditional programs at camp. Finally, one snowy Saturday in November, 1995, Brian Schulze, Margee and Jim Brennan, Joey Peterson Clark, and I met in Cleveland, Ohio around the kitchen table in the Brennan's home: the Friends Of Camp BATAWAGAMA was started. Over the past twenty years we have been fortunate to have so many generous, bright, and capable individuals volunteer to serve on our Board of Directors. Many Board members are prior campers and staff, but several are not from Iron County and have joined our Board because they have been impressed with camp and it's administrative staff. We have been very mindful, from the start, that we had a huge responsibility to carefully manage the monies donated. The decision was made that our only mission would be to raise funds to support the traditional programs that Camp BATAWAGAMA was so well known for. We have no responsibility for the administration of Camp. We obtained the proper 501 (c)(3) tax exempt status with the IRS and the State of Michigan prior to soliciting any funds. Over the years we have been able to help with the purchase of sporting equipment, waterfront docks, kitchen equipment, scholarships, and other projects Brian and his staff have requested. We raise funds primarily through dues, gifts, grants, memorials, golf outings, concerts, and bequests. Over the years, we have had 1000 individuals, businesses, and Foundations donate. Many of the donations are $50.00 or less. 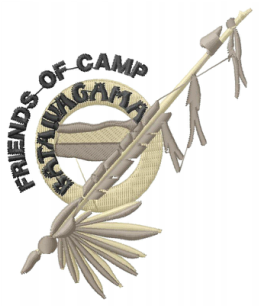 By now, I am sure you realize that for the Founders and our Board members, the formation of the Friends of Camp BATAWAGAMA was a labor of love. I hope you will join us with our effort to insure that "Our Beloved Camp BATAWAGAMA" will continue for generations to come.